Supernumerary tooth -draw an outline of the tooth in its approximate location. 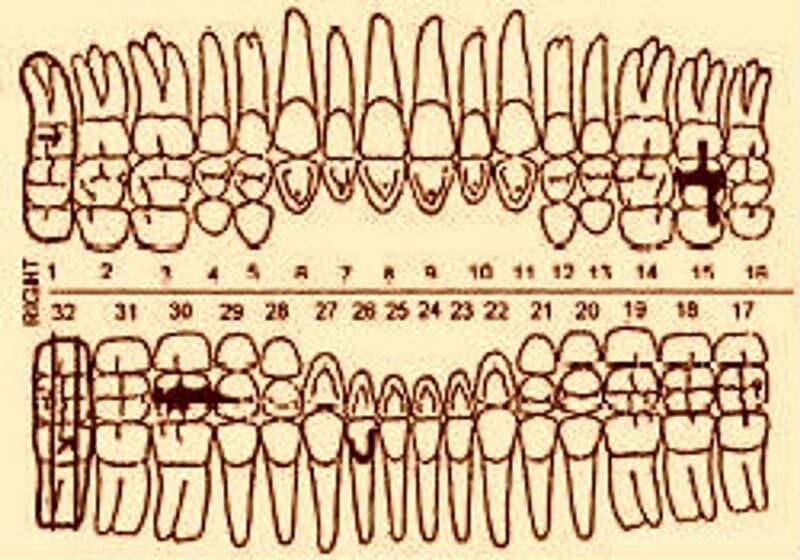 Then insert an "S" in the proper location on the tooth number line. Unerupted - Circle tooth plus "Uner"
Partially erupted - Circle tooth plus "P. erup"
Unerupted tooth - outline all aspects of the tooth with a single oval. This includes impacted teeth.